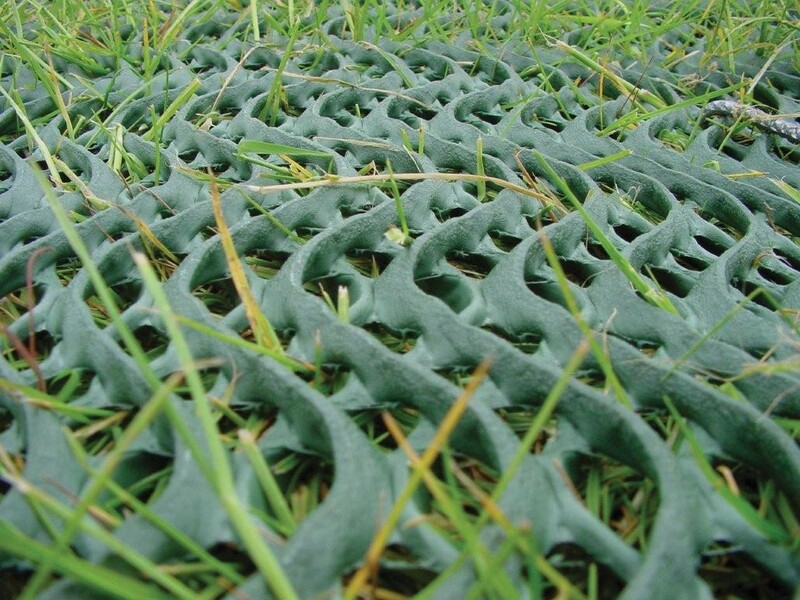 GrassProtecta heavy-duty polyethylene mesh reinforces grassed surfaces prone to wear and smearing e.g. permanent car parking and heavily-used pedestrian areas. 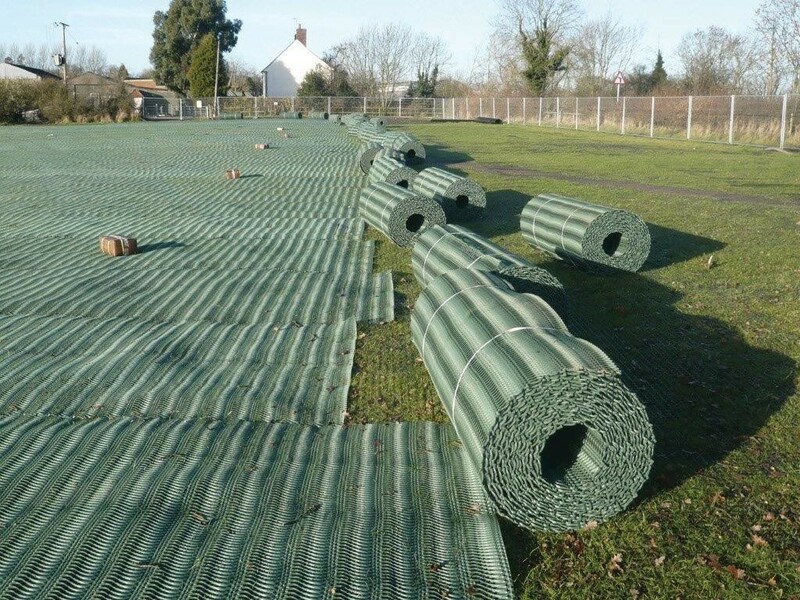 The oscillated mesh structure provides greater traction and significantly higher slip resistance when compared with standard mesh alternatives. 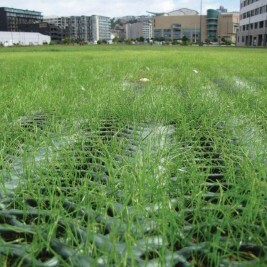 GrassProtecta mesh is available in two thicknesses: 14mm and 11mm. 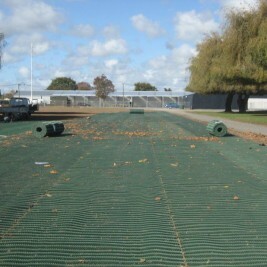 GrassProtecta mesh is simple to install. 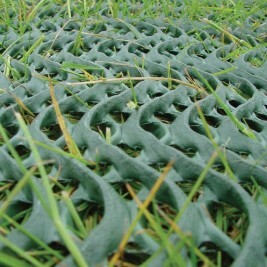 The sward grows through the mesh apertures and knits with the filaments to create a strong, discreetly reinforced surface which is capable of withstanding vehicle loads, limiting damage and helping to reduce compaction by reducing direct contact with the soil surface. 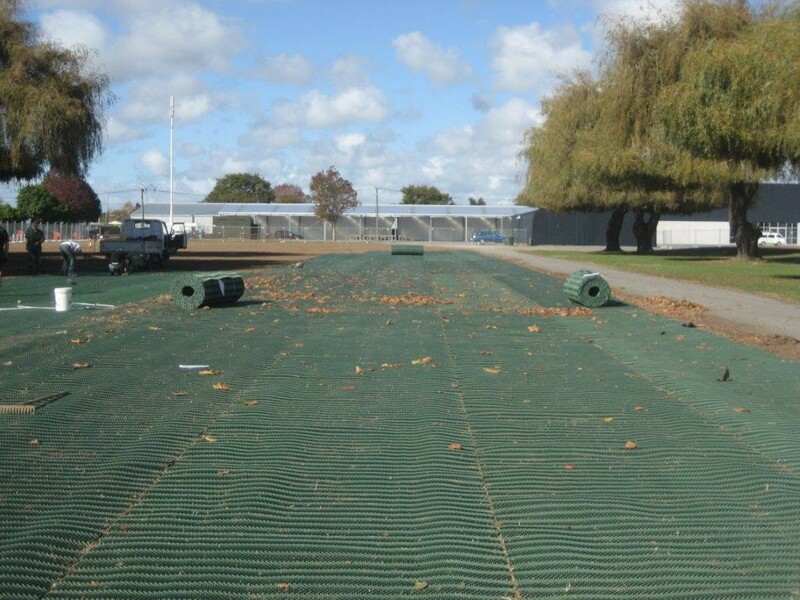 The grass can be mown, rolled and fertilised as normal during this period and the mesh soon becomes unobtrusive. 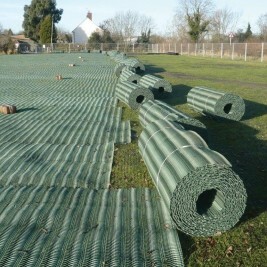 GrassProtecta reinforcement mesh can also be installed onto newly-landscaped areas and seeded as required. 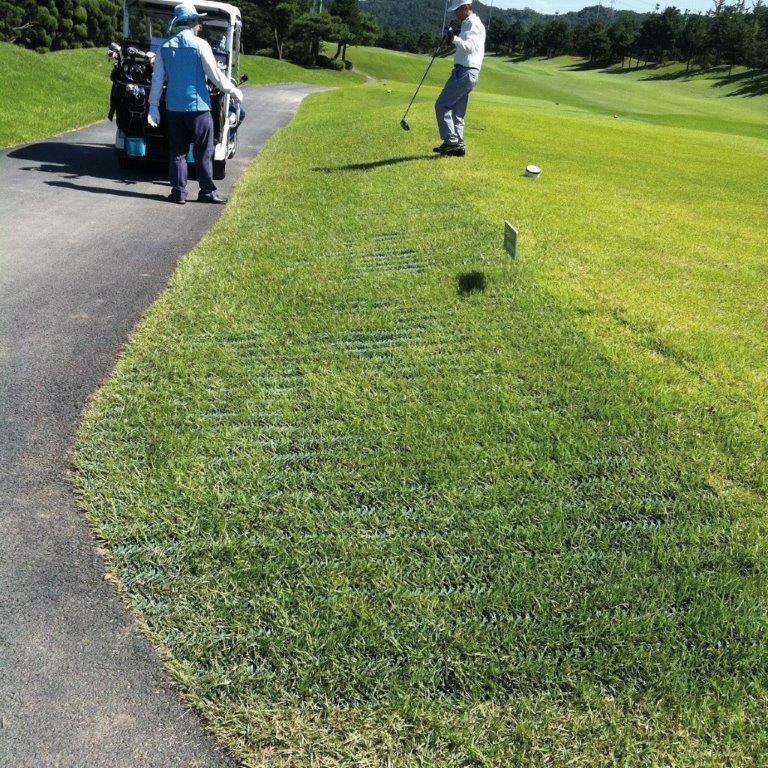 It is strongly advised that newly-installed areas remain untrafficked until the sward and the grass protection mesh have knitted – normally after a few weeks during the growing season, increasing to a few months out of season. 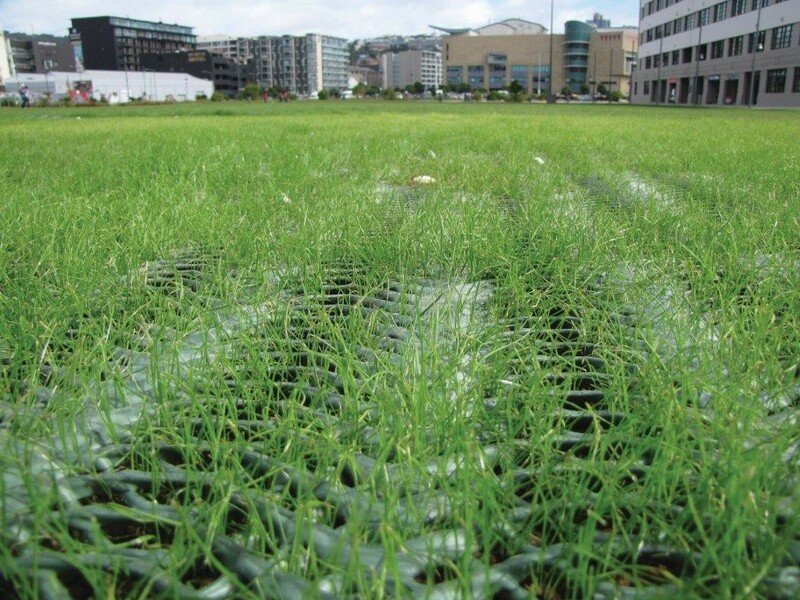 Immediate use may restrict growth and limit the effectiveness of the grass reinforcement mesh installation. How many Steel U-Pins do I need? 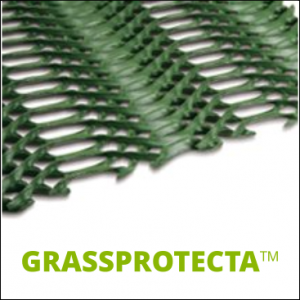 It is important that GrassProtecta is installed and secured correctly. 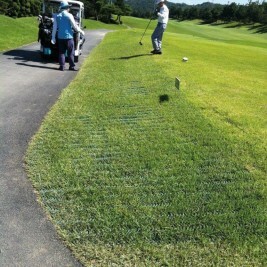 We do advise that where possible, newly landscaped areas remain untrafficked until the sward and the mesh have knitted. 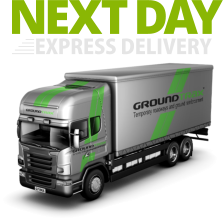 This normally occurs within a few weeks during the ‘growing season’.